Eyes have been called the windows of the soul because of how much they communicate. 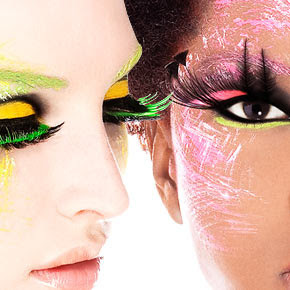 Eyes give your face energy and individuality. They do not have to be a certain size or shape to be considered pretty - all eyes have their own unique beauty. When makeup is applied to look natural it will bring out the eye’s true color and enhance the eye’s beauty. When you feel good about your makeup you will be more confident and will have one less thing to worry about. 3. Be careful with shimmer – they will bring attention to imperfections and wrinkles. 4. The eye area is the first to show age don’t tug on the skin.